If you have a problem at work which you need to discuss, then you should approach your local workplace representative, who will be able to assist you. 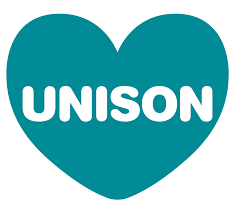 ‘4 Week Rule’: Please note that if you have a pre-existing issue when joining UNISON, or your issue has arisen within the first 4 weeks of your membership, then you are entitled to brief advice only. We will be unable to provide further representation in regard to this issue at any stage of membership. Restrictions on representation: Members seeking representation in workplaces where there is no established workplace representative may seek representation from Branch Staff. Such representation and advice will initially be conducted via email or telephone. Due to the high demand for representation, in most instances, Branch Staff will only be able to meet members on the day of any formal hearing. Please see the guide for further information. Members may also want to review our Frequently Asked Questions prior to contacting the branch for advice. Brian Woolgar and Paul Coles are the Branch Development Organisers. They are responsible for the branch recruitment and organising strategy. They recruit new members and stewards and support and advise stewards who are dealing with individual cases and with workplace issues. They help the stewards to organise in their workplaces and advise and represent members who do not have a UNISON steward in their workplace. Anita Fakhri is the Branch Administrator. She deals with membership queries, stewards training, finance issues and day-to-day running of the office . Most advice is given on the telephone or by email, email being our preferred method of communication, ensuring that we obtain from members an accurate outline of their issues. Our branch organisers are often out of the office representing members at hearings. Branch staff can access further legal advice if needed from our regional office if required. The branch is supported at regional level by a Regional Organiser.